"Touchant toujours le but" literally translated means "Always hitting the mark". We often get questioned at the distillery, about the Parrot emblem on our bottles, and why the parrot seems to have been shot by an arrow. The real story is a lot less macabre, and yet another indicator of the history and heritage tying behind Oude Molen Cape Brandy. 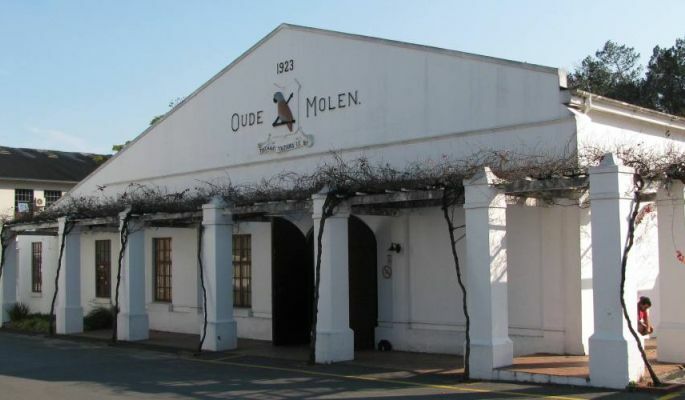 René Santhagens first bought the farm Oude Molen in 1909, a humble yet impressive farmstead close to what is now called Bosman’s Crossing in Stellenbosch. The farmhouse itself was situated at the foot of a small set of hills known at the time as the Papegaaisberg, or translated to English, Parrot Mountains. René and his wife, Jeanne Marie were well known in the Stellenbosch community of the time, and regularly hosted fantastic “invite only” dinner parties to rub knees with the who’s who of yesteryear Cape Town. Around the same time René lived at Oude Molen, the residents of Stellenbosch would hold a pageant every year in honour of the town’s founder, and first governor of the Cape Colony, Simon van der Stell. Numerous activities were held during the pageant, and were spread out across the bustling town, but only one very specific and extremely popular event took place in the proximity of the Oude Molen farm. In the area of Onder-Papegaaisberg, there was a shooting range, and it was here that the “Sharp Shooting” (or Skerpskiet as it was known) took place. It is said that the target of the shooting competition was a painted parrot, and the floating trophy for the overall winner was a carved parrot out of a block of solid indigenous wood. 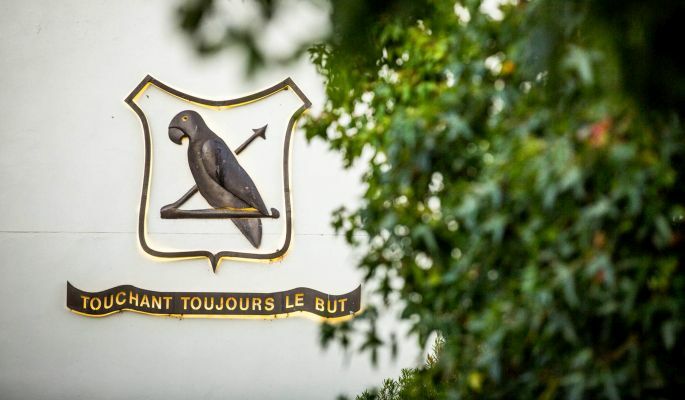 Over time, the parrot emblem and arrow were adopted by René – who himself was and extraordinary marksman – along with the French motto of “Touchant toujours le but” which literally translated means “Always hitting the mark”. 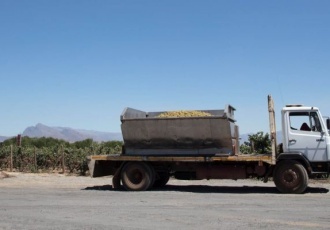 The emblem has been the same ever since Rene added it to the side of his newly built maturation cellar in 1923, and is now instantly recognisable as the Oude Molen Parrot. More recently, “Touchant toujours le but” has become a mantra to always strive for perfection, and in doing so continue to challenge the ordinary, just as Rene did back in his day, when he founded Oude Molen. 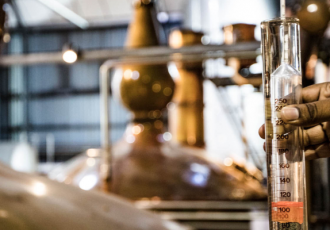 It’s a motto we still abide by today, and always look to hit the mark in everything we do and with every drop of the finest Oude Molen Cape Brandy we make.